The clocks go forward this weekend, so we are officially in Spring. The weather may not have got the memo just yet, but the warmer sunny days are on there way. 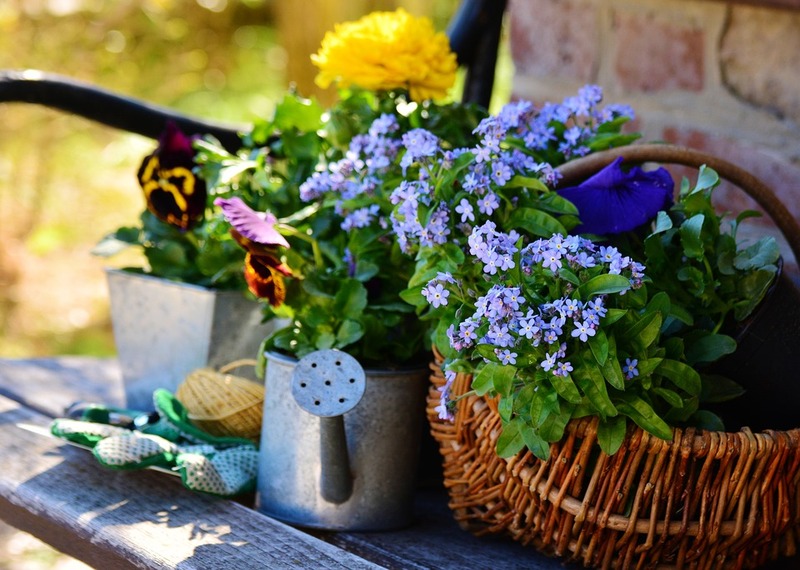 It is a great time to get out in the garden and get it looking beautiful before Summer! March and April are the perfect time to start sowing your hardy vegetable seeds, ready to enjoy in the Summer months. Take this time to sow your beetroot, carrots and radish in particular. If you do have indoor space or a propagator then you could also start growing your less hardy vegetables such as aubergine and cucumber. Use this opportunity to get organised and sort our your seed packets for now and later. Remove leaves and other debris from flower beds, lawns and ponds and cut back the dead growth of any perennials. If you have a greenhouse, give it a good wash down. To achieve gorgeously blooming planters this Summer you need to plant them now, to allow the shrubs and flowers time to develop and fill out. A display of planters in varying sizes can create a stunning effect. Although its cold outside this is the ideal time of year to get those niggly little jobs out of the way! Any broken structures or tools are best fixed now so you have more time to spend in the garden during spring and summer. Nothing makes a garden look more ready for action than a neat lawn If you haven’t made your first cut yet, raise the height of the blades on your mower or you will be chewing the grass rather than cutting it.